The neglected state of the Russian automotive industry resulted in even Russian armoured cars being built on foreign truck chassis. These conversions were mostly done by the Izhora and Putilov factories in Petrograd. 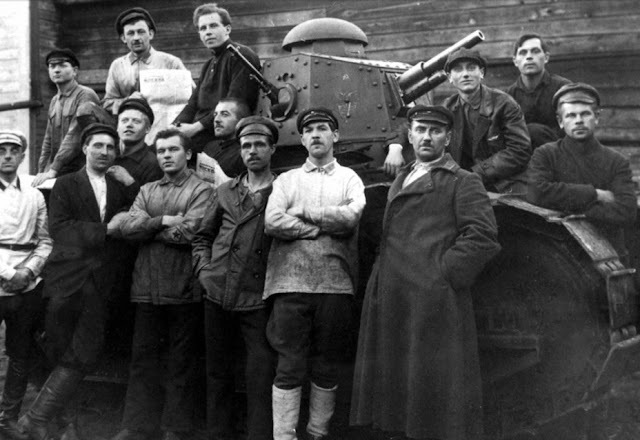 A portion of armoured cars was also produced at the Obuhov factory, located in the same city. The Russian Imperial army did not live to see deliveries of tanks from France. Initially the Schneider CA 1 was considered, but by the fall of 1917 information about the Renault FT was obtained. These tanks did arrive in Russia, but not as military aid against Germany. On December 12th, 1918, 20 of these tanks from the French 303rd Assault Artillery Regiment landed in Odessa. 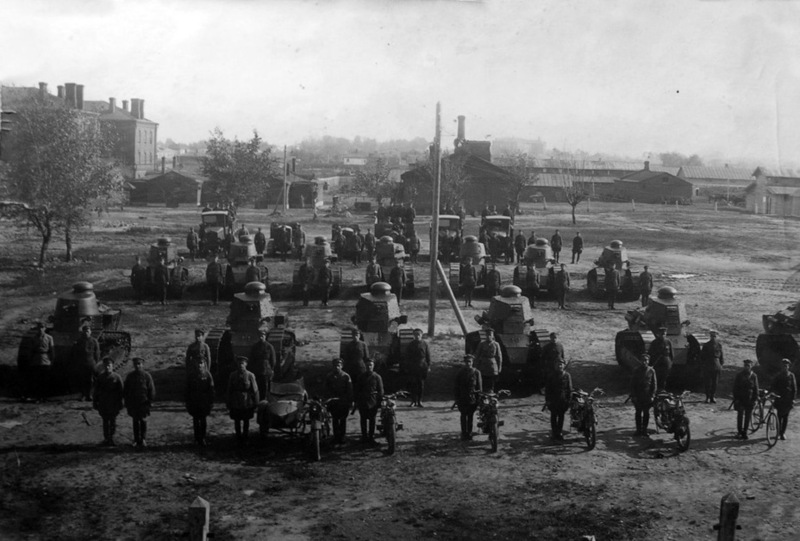 A meeting of the Special Purpose Armour Squadron, April 1919. Soon this tank will be sent to Moscow. On the morning of March 19th, 1919, the French tanks made their debut in the Interventionist forces. This happened near the German colony by the name of Worms (modern day Vinogradnoye, Berezovskiy district, Odessa oblast). The Interventionists fired an artillery barrage at the attacking forces of the 2nd Brigade of the Zadneprovsk division of the Soviet Ukrainian Army, after which the tanks attacked. Seeing how the situation was developing, the Red commanders decided to flank the Interventionists. A battle erupted at Berezovka. The enemy was forced to cease supporting his tanks with artillery and move the fire support to another place. This was the beginning of the end. The artillery battery was attacked by sailors of the 15th Regiment, and the artillery men fled. The infantry that supported the French tanks began to retreat. Finally, even though the tanks were right up against the prone infantry of the 15th regiment, they had to retreat as well. Seeing what was happening, the Red Armymen gave chase to the departing tanks. Jumping up on them, infantry of the 15th Regiment managed to capture 4 Renault FT tanks. Most of the captured tanks had cannons for armament, riveted turrets, and were built at the Renault factory. Along with the tanks, N.I. Ursulov's 15th Regiment captured a large amount of artillery and other weapons. The same tank on the Red Square, May 1st, 1919. A meeting was held after the battle, and it was decided to send one of the captured tanks as a gift to Lenin. Tank #69009 was chosen. This tank was built at SOMUA, but also had a riveted Renault turret. When the tank arrived in Moscow, it turned out that it no longer functioned. 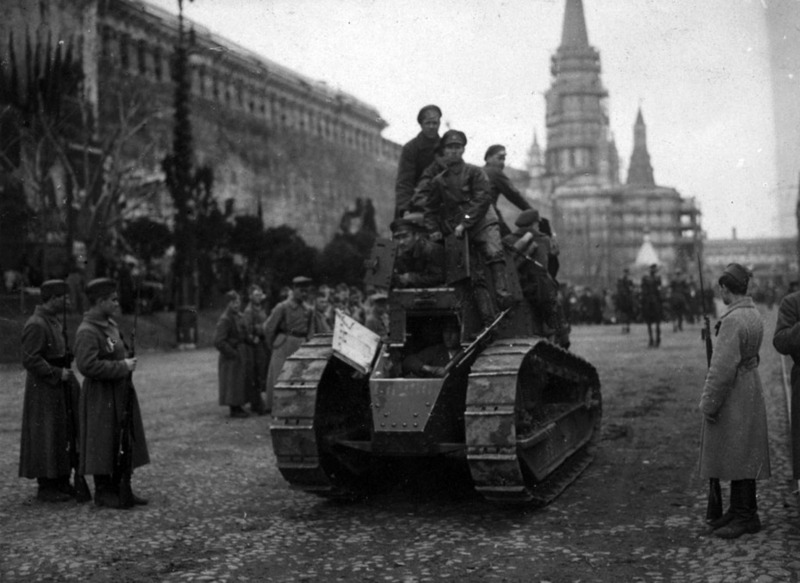 In April of 1919 Lenin asked for another Renault FT to take part in the 1st of May parade in Moscow. By that point, the tanks were assembled in the Special Purpose Armour Squadron along with armoured cars. Tank #66250 was chosen to be sent to Moscow. Red Armymen Untilov and Kozyrev, as well as assistant engineer Podruchenko, were chosen to accompany it. The tank was loaded onto the railroad and departed for Moscow. There, pilot B.I. Rossinskiy was introduced to the tank. For him this was the first experience with a tank, but he figured out the controls quickly. On May 1st, 1919, the captured tank drove down Red Square. On the next day, the HQ of the 2nd Soviet Ukrainian Army received a telegram of thanks from Lenin. 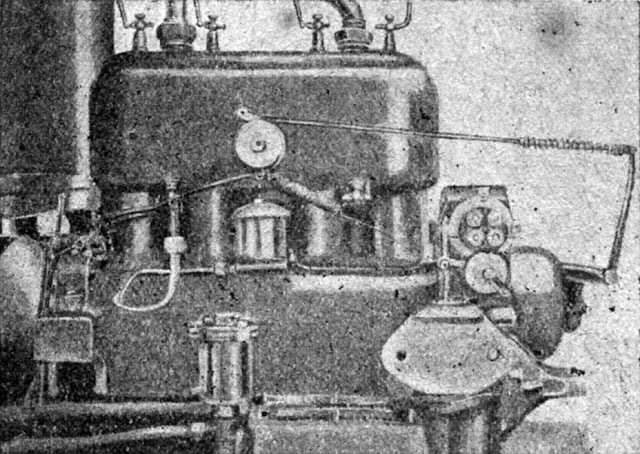 The engine compartment of the Russian Renault, somewhat different from the Renault FT. The tank that drove down Red Square later departed for the front lines. 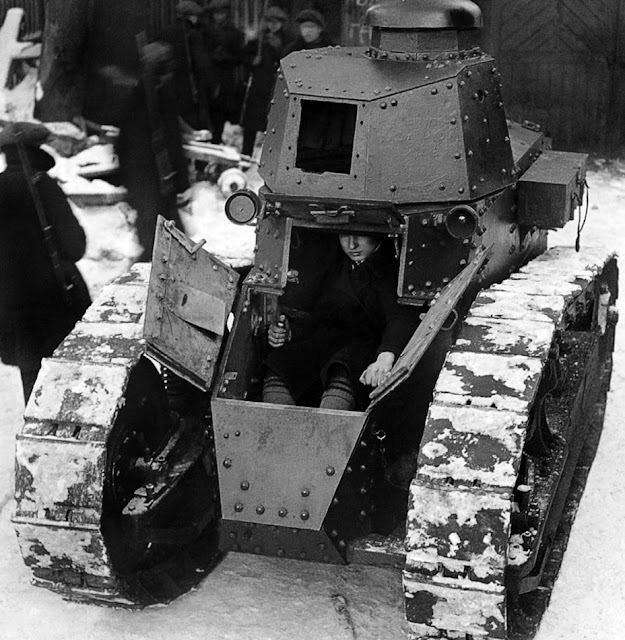 The first Renault FT that ended up in Moscow had a different fate. 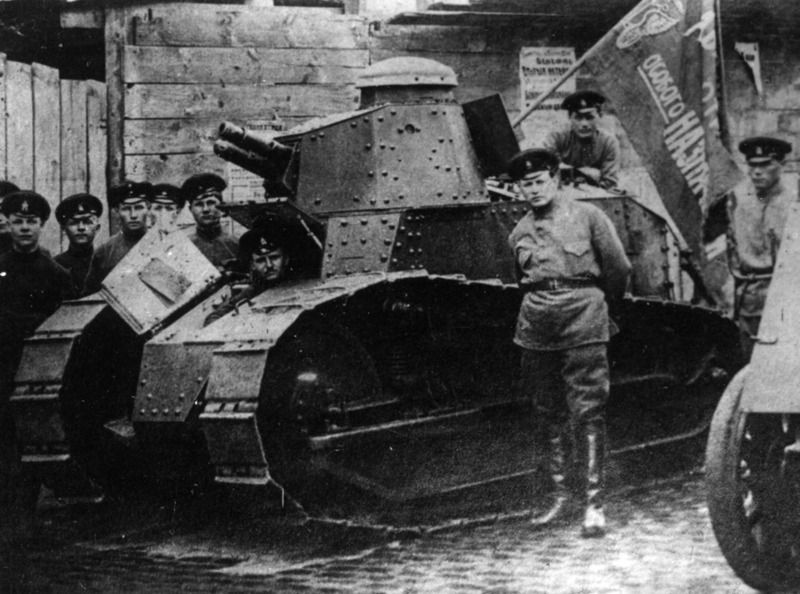 In early August of 1919, Lenin initiated the organization of production of such tanks. Despite the critical situation and desolation in the country, the possibility of it was there. 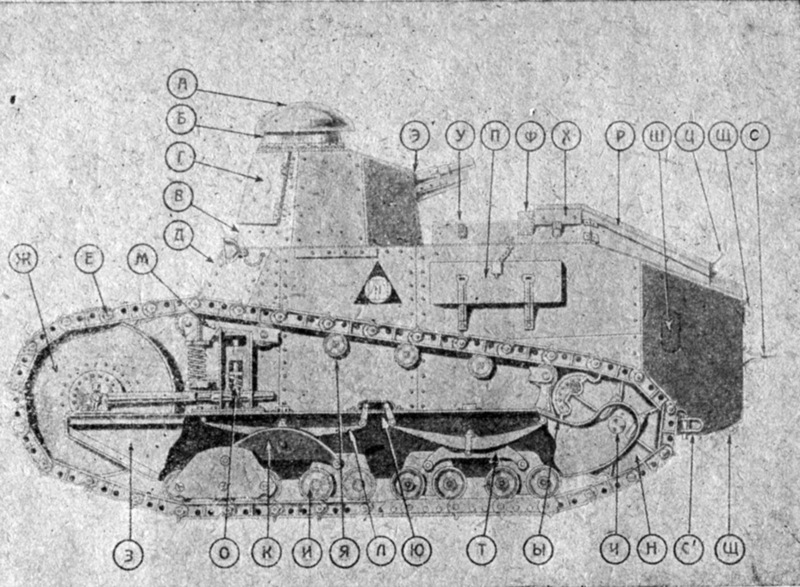 The French light tank was built with automotive components. The relatively small weight and simple design of the hull and turret allowed factories that formerly dealt with armoured cars to switch to building tanks. On August 10th, 1919, the Council of Commissars and Council of Military Industry made the decision to build 10 tanks. The Sormovo factory in Nizhniy Novgorod was chosen to build them. By that point, the organization had experience in building armoured trains, so tanks would be feasible for it. On August 22nd, the factory held a meeting where the idea of building tanks was announced. Having examined photographs of the tank, factory management accepted the order. It was necessary to deliver a captured vehicle to the factory as a sample, but the tank had already spent some time unsupervised by that point. The partially disassembled tank was shipped to the Sormovo factory on three railroad platforms. It didn't take long to discover that some parts were missing. In addition, the factory had no way to obtain an engine identical to the one in the tank. This problem was easy to solve: the AMO factory in Moscow was building FIAT 15 ter trucks, and their engine could make a suitable replacement. There was one problem: the engine was larger than the one used on the French tank. The solution was to make the rear part of the new tank wider, thanks to which the engine fit without issue. This was the biggest distinguishing feature of the tank that would later be known as "Russian Renault". 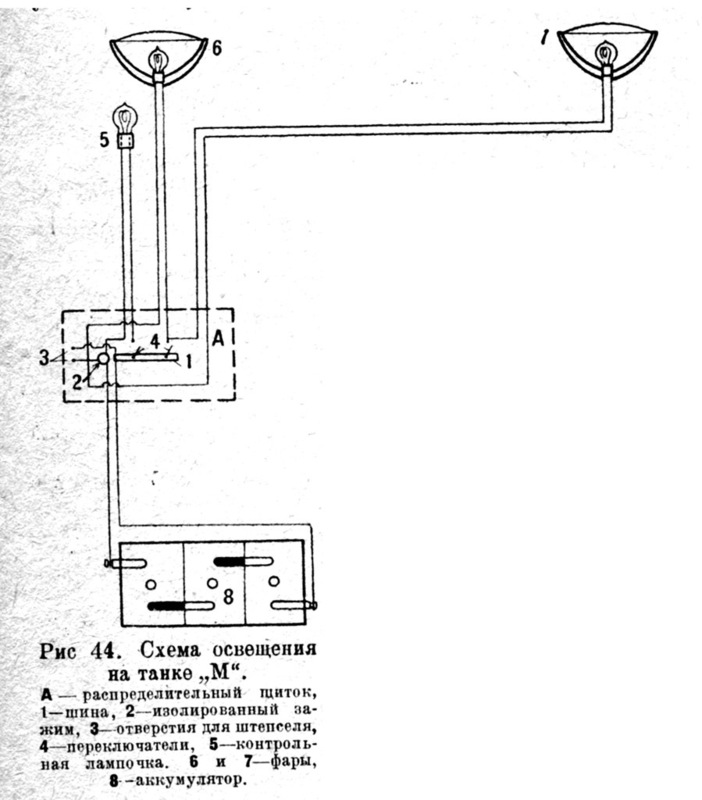 Technical documentation was completed by January 1st, 1920, at Sormovo. The Sormovo factory was not the only one that was to take part in building the Russian Renault. On October 3rd, 1919, the Council of Military Industry issued decree #2131 to Izhora factory, instructing them to produce 30 tanks like the captured Renault FT. The Izhora factory was to organize production of the armour and final assembly, the Obukhov factory would build the running gear, and the other components would be built at the Putilov factory. Later, the Obukhov factory disappeared from the list of contractors. On October 16th the Council of Military Industry planned to send a group of engineers and technicians to the Sormovo factory. The goal was to inspect the tank that was sent there and to clarify the issue of partially or completely producing such tanks at the Izhora factory. An answer was given on November 27th: the Izhora factory will take the job. According to plans, the factory could deliver its first tank within two months of receiving the necessary parts, under the condition that it would receive 60 new workers (10 automotive mechanics, 30 metalworkers, and 20 marine steam fitters). 3 more tanks would be assembled in the following month, and then 5-6 tanks monthly. The factory requested that technical documentation arrive 3 months before the production of the first tank and the engine and armament 2 months prior. The captured Renault FT repaired by the Sormovo factory. The tank received a new engine, a new rear hull, and headlights. The tank production plans changed. Yudenich's army made several successful offensives and reached the vicinity of Petrograd in the first half of October. On the 16th and 17th the Council of Defense made the decision to move tank production entirely to the Sormovo factory. Ironically, Renault FT tanks fought nearby at Gatchina, although these tanks belonged to the Whites. Petrograd was defended, but the complicated military situation convinced the Council of Military Industry that it was not worth the hassle to set up the full production cycle in a frontline city. However, Izhora factory still took part in making armoured plates for hulls and turrets. A storm of correspondence erupted in connection with the type and amount of armour required. By this time, the plans changed yet again. Now 15 tanks were planned at the Sormovo factory instead of 10. On February 27th, 1920, the Izhora factory received order #88 for 10 "small tanks of the Renault type" armed with one machinegun. The first set of armour was expected on July 1st, and the last on November 1st. On the same day, order #89 for 5 tanks with the Hotchkiss 37 mm gun came in. That order would be carried out between August 1st and November 1st. 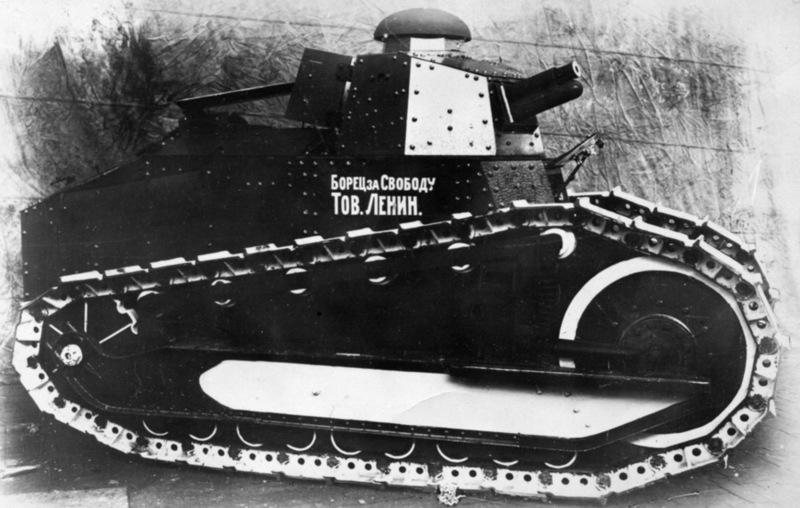 "Freedom fighter comrade Lenin", the first proper tank built in Russia and successfully trialled. There were issues with production of armour for Sormovo. Despite the fact that production of armour began in the end of March, the first batch of armour for the two tanks was only sent on July 15th. Not everything went smoothly with it: according to a telegram from Sormovo all the plates were bent and would crack if the factory attempted to flatten them. A portion of the armour was not even cut. This kind of lax attitude on Izhora's part put production at risk. Another torrent of correspondence broke out. Meanwhile, the Sormovo factory was not idle. The Renault FT that had arrived was repaired and modernized. Instead of the old engine, which could not be repaired, a FIAT engine was installed. The engine compartment was rebuilt to accommodate this. Under the direction of the Armour Center's senior engineer I.H. Gaugel, the Sormovo factory built its first Russian Renault by the end of the summer. This tank received the name "Freedom fighter comrade Lenin". The tank had some differences from subsequent tanks. It received an SA 18 cannon removed from a Renault FT, the only one of its kind to do so. In addition, this tank received a parade colour scheme. The first trials took place on August 31st, 1930. Metalworker I.A. Averin took the controls, and Gaugel himself climbed into the turret. Ivan Hristianovich was a controversial figure, but his actions, often accompanied by waving a pistol, had results. The tank headed towards the road from Kanavino to Kolosovo. It confidently navigated this route, even climbing up a steep sandy hill. An additional test was held to see if the tank could demolish a building. Having successfully knocked down the wall of a half-ruined building in the Varya settlement on the road to Kanavino, "Freedom fighter comrade Lenin" continued on, and successfully completed mobility trials. Gaugel sent a telegram to Moscow on the following day. "I report that, on August 31st, 1920, the first tank went through mobility trials. Followup trials and gunnery trials will be held on September 1st." "Freedom fighter comrade Lenin" was the first proper tank built on Russian territory to pass even the first stage of trials. However, the assembly of tank #1 was only the beginning. The second tank, named "Paris Commune", was different from it. The issue was that the SA 18 cannon used was the only one available. The solution was to use a gun that was adopted by the Russian Navy back in the late 1870s. The gun came in two variants: single barrel and five-barrel. The difference was not only in the amount of barrels, but their length. APX infantry and tank guns used the same ammunition. A rather logical idea of installing the barrel of the Hotchkiss naval gun onto the SA 18 mount. This resulted in the creation of the "37 mm short Hotchkiss tank gun". The level of compatibility with the SA 18 was high, and the gun could be converted by simply switching out the barrel. The separation of the Renault FT into cannon and machinegun tanks did not thrill Russian engineers. The tank needed a cannon or a machinegun in different situations. As a result, Soviet designers were the first to combine a cannon and a machinegun in a mass produced light tank. A ball mount for a Hotchkiss Mle.1909 machinegun was installed in the right side of the turret. These machineguns were used on Mark V tanks that were captured by the Red Army. Typical armament of a production Russian Renault. Thanks to the improving situation with armour from Izhora, rate of production at Sormovo increased by mid-November of 1920. 5 tanks were assembled and ready for trials, the 6th and 7th were under construction and were expected to be completed by December 15th. The factory also began assembly of tanks #8 and #9, which would be completed by January 20th, 1921. Sormovo had nearly all the necessary components for assembly. Senior Engineer S.P. Shukalov supervised the work at Sormovo on behalf of the Council of Military Industry. A key figure in Soviet tank building of the 1920s, Shukalov appeared in correspondence starting in November of 1920. He received reports on the results of the trials. The first gunnery trials with the Hotchkiss gun were held on November 9th. It was not new: according to report gun #124 was built in 1895. The trials saw 11 shots fired by tank #2, and the results were satisfactory. 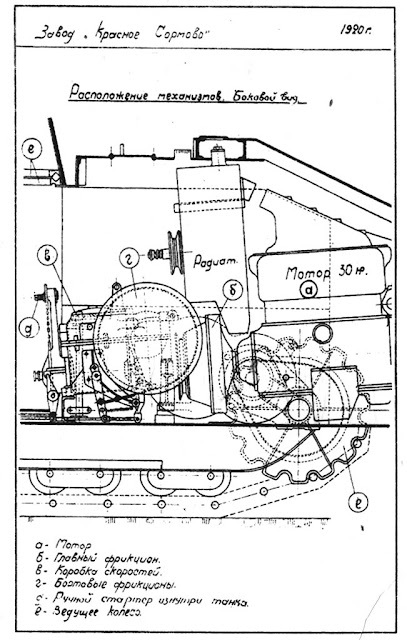 Manuals for the vehicle and the cannon were printed after the tanks were put into production. 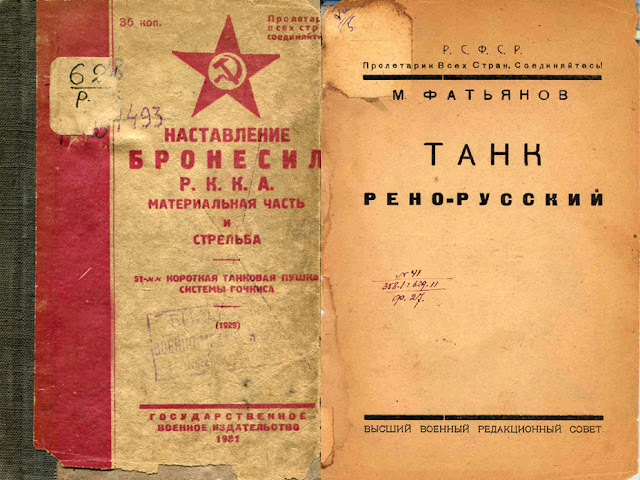 Despite the successes of the first trials, a large number of issues were found with the first Soviet tanks. They were corrected throughout September and October of 1920. A commission from the Council of Military Industry arrived in Sormovo on November 12th. More mobility trials were held on the following day. They stopped on the second kilometer after the fan belt slipped off. A technical meeting was held on that day. On November 14th, 7.5 km trials were held, this time successfully. Most of the commission members departed to Moscow, and the factory began preparing for state trials. They began on November 17th. The tank that took part in them successfully travelled 26.5 km. The average speed was 7.65 kph, and the top speed was 8.89 kph. Considering the fact that the tank was driving off-road over melted snow, these were respectable results. Trials continued until the 20th, at which point it was taken apart to measure wear and tear on components. Overall, it drove for 64 km and passed state trials completely. View from the side in the instruction manual. In this case, there is an engine maintenance hatch, but no fuel tank hatch. The "Russian Renault" hull had at least three variants. A list of 22 required changes was composed as a result of the trials. The factory was instructed to introduce them into production within 1.5-2 weeks. One of the changes was to install hatches over the fuel tanks, but a number of the tank never received this modification. This was also the case for the engine access hatch in the left rear part of the hull. Some photos show this hatch, some do not. The commission also formalized the quality assurance process. According to it, tanks ##5, 10, and 15 would undergo a full range of trials, and the rest of the tanks would undergo abridged trials. One tank would also be built with a different gearbox, aimed at increasing its top speed. This work was directed by Shukalov. The engine was slightly different from the one used on trucks. The Soviet clone had headlights, unlike its French predecessor. These were later installed on Soviet FT-17s. At the time of delivery #12 and #13 had no armament. There was also another tank, #16. It was built on top of the plan and was meant as a gift to Lenin. The idea to build this tank belonged to the member of the factory management panel N.D. Danilov. On his instructions, K.A. Berdyshev produced the blueprints for a tank named "Souvenir". This was likely a full scale model, which Berdyshev also built. For this. Berdyshev was rewarded with an English suit, two tables, and four chairs. The start of production of the Red Army's first tanks coincided with the gradual conclusion of the Russian Civil War. Crimea fell in November of 1920, and the White resistance in European Russia ceased almost fully. Large scale fighting that would required tanks was over. In addition, the delivery of tanks at the factory dragged on. A number of tanks were not ready for delivery. Tank #7 was used for gearbox trials. It turned out that the tank could not achieve the top speed of 12 kph, for which this whole affair was started. With the engine at its limit, the top speed was 10 kph. Work on this topic concluded, and the tank received a regular gearbox. Production of the Russian Renault was concluded. The M ("maliy", small) tanks were not fully satisfactory for the Red Army, especially due to their top speed. Additionally, tanks were an expensive proposition for a country that lay in ruins after the Civil War. French and Soviet tanks were used side by side in the late 1920s. This photograph, taken in Moscow, also features a FIAT 3000. Tanks built at Sormovo were sent to Moscow, where they formed a training squadron. The tanks were split up into squads of 5 each. The first duty of the tanks was peaceful: the 6th Tank Squad was sent to Povolzhye in the spring of 1922, where the Russian Renault was used as an agricultural tractor. The tanks were later used as training vehicles. Despite their slow speed, they were more useful in this role than the Mark V or the Mk.A Whippet. A small mass and the use of an automotive engine gave these vehicles an advantage. Another typical duty for the first Soviet tanks was participation in parades. These tanks marched alongside Renault FT tanks, which by that point we re-armed with Hotchkiss guns. The last such parade was held in 1929, after that the worn out tanks were replaced with MS-1s. By January 30th, 1931, the armament was removed from all Russian Renault tanks and they were distributed to tank schools as instructional aids. 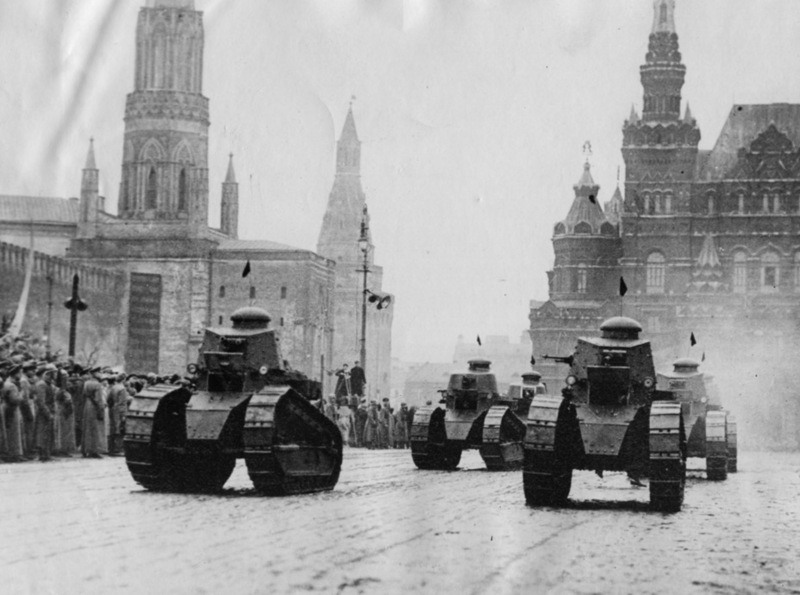 The parade on May 1st, 1929, was the last for the Russian Renault. Only 2 Renault tanks of both types remained by April 15th, 1938. By order of ABTU Chief D.G. Pavlov, both tanks were transferred to the NIABT proving grounds at Kubinka. This was the start of the proving grounds museum, which is now a part of Patriot park. By April 1st, 1941, only the Russian Renault remained. According to the documents, this tank was far from complete. Nevertheless, it survived WWII, making it and the Mark V tank the oldest museum exhibits. The tank carries a turret that came from a different tank, a dummy gun, and Renault FT running gear. However, the characteristic rear section, wider than that of the French tank, betrays its roots in Sormovo. I remark always the effort of making a tank in diferent cities that seré very distant one to the other in the middle of a civil war. I notice the Russian's were far less inclined to have vehicles armed with just the 37mm than the French. Considering the inadequate power of it's 37mm, I'm surprise the French FT-17s didn't all get machine guns. The French had lil' Renos Byt the truckload - literally *thousands* - and could generally assume operations "close to home" so to speak, so they could rather more readily field the two variants in parallel. Conversely the Soviets were working with small numbers, ridiculously vast theaters and abysmal infra hampering transport so it makes a lot of sense for them to have insisted on combining both weapons in the same vehicle to ensure both were actually available when needed at the (probably remote) point of contact. Yes, it was pointed out that even machineguns had superior armour piercing power to old 37 mm guns. Tanks installed as fortifications either had machinegun ports or a 45 mm cannon installed into the turret.